1) As a mom or dad, you desire your child to grow up to live to his/her optimum health potential. You also have a desire that nothing hinders the development of your beautiful baby. Chiropractic aids in the development of a healthy nervous system - the master system that controls every bodily function. 2) Did your baby experience a difficult birth? The birth process is rough!!! Both for the mom AND the baby! 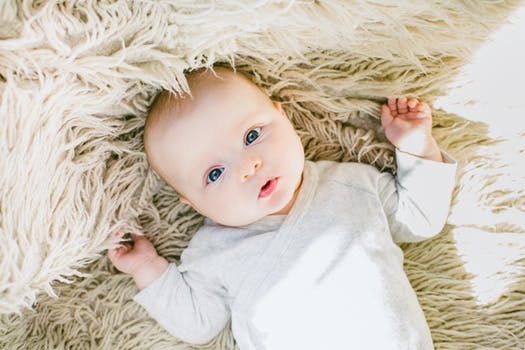 Common medical procedures used in birthing such as forceps, vacuum extraction, and C-section can injure a baby's nervous system, structure, and skull. It's imperitive to have a newborn spinal check up after a difficult birth. 3) Is there a genetic influence of spinal disorders that runs through your family? Wouldn't you want your baby to avoid spinal disorders if at all possible? Think back to your parents, your grandparents, and think of yourself. Are there common spinal problems that all of you exhibit? Scoliosis? Arthritis? Forward head posture? A big hump in the back of the spine? Why wait til these disorders develop! Have you infant evaluated now. Working with an infant's and adolescent's spine can have dramatic effects to prevent familiar tendancies of spinal disorders and disease. 4) Families under chiropractic care living a wellness-oriented lifestyle have less need for allopathic (medical) health care, that includes both parents and children. Studies show that chiropractic spinal wellness checkups along with good nutrition, exercise, good mental health, and adequate rest will naturally help maintain the health of your family. Will occasionally colds or other sicknesses pop up? Of course, it's a natural part of immune system development. Yet in general we find that families under chiropractic care get sick less, have less need to visit their M.D.s and overall have lower health care costs. 5) Do you notice that your baby's head is shaped a bit oddly after the birth? That occasionally happens during challenging births, but should go back to a normal shaped head within the first couple of weeks after the birth. If it doesn't, there may be abnormalities within the structure of the cranial bone joint system in the baby's skull. This can directly impact central nervous system function and overall health. Should you notice this, have the baby checked by Dr. Jameson who specializes in cranial assessment in newborns. 6) Is your baby fussy, crying, and irritable most of the time? Is he/she having bowel movements less than once per day? That's not normal. Many times a check with the pediatrician doesn't show any reason for the fussy child and the diagnosis of "colic" is given. If your child is unhappy, there's a reason! Dr. Jameson can detect subtle problems with the structure of a child's cranial system and spine that can be creating nervous system irritation in the baby. 7) Are you frustrated with today's pharmaceutical dominated health care system?" Has your MD diagnosed a health problem in your child and the only option is strong meds? Have you ever considered a second opinion by a natural-health focused doctor? A chiropractor is a primary care doctor who can assess your baby's health situation and give advice - nutritionally, structurally, and neurologically - that can help your baby express optimum potential, even in this most dire of circumstances. Consider chiropractic for your entire family. Experience the chiropractic wellness lifestyle.